Micah Freeman, of Aurora, said she would have left with her family if she had known a 10-year-old boy was pulled from Lake Michigan just an hour prior at the Indiana Dunes State Park. "They should have said something," she said. Her son, Malik Freeman, 14, died after he went under. CHICAGO (WLS) -- A Beach Hazard alert for Lake Michigan beaches in the Chicago area was issued Monday due to dangerous conditions. The National Weather Service issued the alert for Cook and Lake (Ill.) counties until 1 p.m. Wednesday and for Lake (Ind.) and Porter counties until 7 p.m. Wednesday. On Monday, flags were at Chicago beaches as dangerous waves of up to six feet high and strong rip currents create life-threatening conditions for swimming and boating. The warnings come after three boys died this weekend after they were pulled from Lake Michigan in separate incidents. 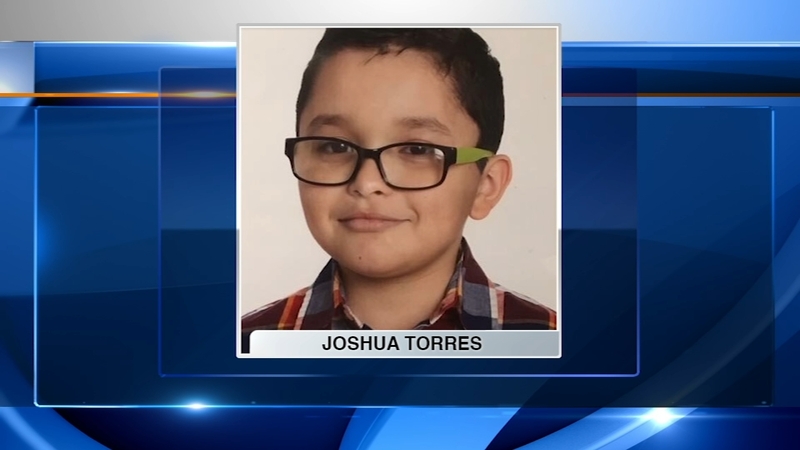 Two of the boys were Joshua Torres, 10, of Chicago, and Malik Freeman, 14, of Aurora, who were swimming in restricted areas at the same Indiana Dunes State Park beach. Malik's mother, Micah Freeman, said she did not know that a 10-year-old boy had been pulled from the water just an hour before her son went under. "They should have said something, a 10 year old was just pulled out of the water lifeless. They should have said this, I would have taken my kids and went home," Freeman said. From shore, Freeman had been keeping a close eye on her kids in the water when she noticed they drifted down a bit. "I started jogging a little bit to tell Malik to come closer, then I noticed his hand go up, then I started screaming 'cause I could tell he was in trouble at the time," she said. Her husband, other beachgoers and just two lifeguards went into the water to help, Freeman said. "There were two other lifeguards with their hands on their hips just watching, I said, 'I need you to help.' He said, 'We don't have our gear," she said. Malik, who his mother said was a good swimmer and knew the dangers of rip tides, was pulled out of the water a short time later. Life-saving measures were not enough. He was taken to a local hospital and then airlifted to a Chicago hospital where he was pronounced dead. Malik was to turn 15 next week. He was to be a sophomore at Waubonsie Valley High School in High School in Aurora. "He was so much fun and he was so protective of me, you couldn't ask for a better kid, his heart was so pure," Freeman said. A GoFundMe campaign was started to help the family with funeral expenses. In a third incident, a 14-year-old boy was rescued Friday from the water near Waukegan and died at a local hospital. He was also struggling in a water restricted area where swimmers were only allowed into waist deep water. A preliminary autopsy determined that he died of drowning, according to the Lake County (Illinois) Coroner's Office. His name was not immediately released "to allow the family more time for notifying loved ones," the coroner's office said. So far this year, 21 people have drowned in Lake Michigan. The US. Coast Guard is urging small recreational boats to stay in port if possible. "If you do need to go out, please have a marine radio, life jackets, file a float plan," said U.S. Coast Guard Petty Officer 2nd Class Raymond Ritter. People are being warned about dangerous conditions on Lake Michigan after three weekend drownings.